Apple last year said that it meets all of its needs with renewable energy, such as solar farms that power data centers. However, a large part of its carbon footprint comes from its supply chain, and since 2015, Apple has worked directly with those companies to use “clean” energy for Apple production. Apple did not specify where the new suppliers in the program would get the energy. When those options are not available, Apple says that it aims to have suppliers sign power-purchase agreements with new renewable energy projects and uses purchases of renewable energy credits only when there are no other options. Jackson declined to say whether Apple would drop suppliers such as Hon Hai and TSMC — whose capabilities few others in the global electronics supply chain can match — if they fail to meet their commitments to the program. AP, NEW YORKThe National Enquirer, which is under fire for paying hush money to a former model linked to US President Donald Trump, is on the auction block. American Media said that it was considering a sale so it could focus more on other parts of its business, including its brand for teenagers and broadcast platforms. “Because of this focus, we feel the future opportunities with the tabloids can be best exploited by a different ownership,” American Media chief executive officer David Pecker said in a statement. American Media came under fire more recently from Bezos for what he said were threats to publish photographs of him unless he stopped investigating how the tabloid obtained private exchanges between him and his mistress. American Media recently refinanced hundreds of millions of dollars of debt after years of heavy borrowing and acquisitions. 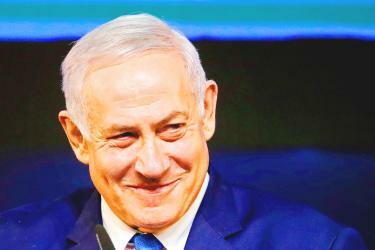 BloombergPeople call Israeli Prime Minister Benjamin Netanyahu “the magician.”Israeli Attorney General Avihai Mandelblit had already served notice that he plans to indict Netanyahu on multiple counts of bribery and fraud. Former Israeli armed forces chief Lieutenant General Benny Gantz, who has a reputation for integrity, had convinced many in Israel that Netanyahu had to go. However, the scandals were not enough to sink Netanyahu’s bid to become Israel’s longest-serving prime minister. “They have chosen an overwhelmingly right-wing, xenophobic and anti-Palestinian parliament to represent them,” she said. After declaring victory early in the night, Gantz’s Blue and White party watched as the numbers turned against them in a knife-edge vote. 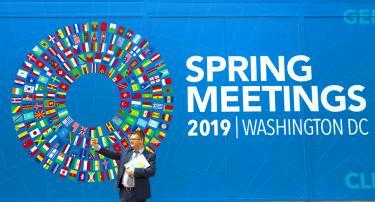 ReutersThe global economy is slowing more than expected and a sharp downturn could require world leaders to coordinate stimulus measures, the IMF said on Tuesday as it cut its forecast for world economic growth this year. “This is a delicate moment for the global economy,” IMF chief economist Gita Gopinath told a news conference. In its third downgrade since October last year, the IMF said that the global economy would likely grow 3.3 percent this year, the slowest expansion since 2016. The IMF also cut Japan’s growth outlook following a string of natural disasters. The IMF raised its forecast for US growth next year by 0.1 percentage point to 1.9 percent. Under the regulations passed on Tuesday, a nomination panel of five members would be responsible for consulting potential candidates, incumbents and heads of local chapters to find the ideal candidates. After evaluating potential candidates, the panel is to send a list of nominees to the party’s decisionmaking body, which would vote on whether to confirm the nominees. The nomination panel is to scout potential candidates as well as accept recommendations from chapter heads, he said. 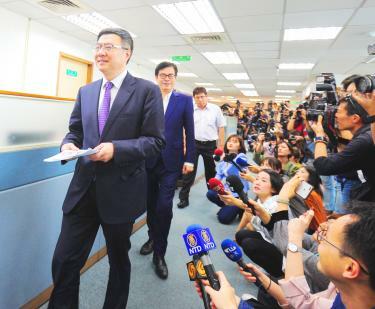 He would likely have to compete with NPP Legislator Hsu Yung-ming’s (徐永明) assistant, Li Cheng-chih (李承值), who last week expressed interest in seeking the party’s nomination in Lim’s constituency. Asked if the NPP would nominate a presidential candidate, Chen said that the nomination panel is responsible for nominating candidates for the legislative and presidential elections. The route is the most direct Internet link yet between Australia and China. The SubCom cable would likely stifle any commercial case for future Huawei cables in the region, said Jonathan Pryke, director of Pacific Islands research at Sydney-based think tank the Lowy Institute. “It would greatly increase the accessibility of Internet in PNG.”SubCom was commissioned to build the US$380 million line by H2 Cable, a privately owned Singapore-based firm, they said in a joint statement. It was cautiously welcomed in the Solomon Islands, although there was some skepticism as to whether proposed branches would ever be built. “All options for meshing the Pacific islands are good for the development of the economies of these countries,” said Keir Preedy, chief executive of the Solomon Island Submarine Cable Co Ltd, which is developing the Solomons’ new cable. By Yang Chun-hui and Jason Pan / Staff reportersTop Democratic Progressive Party (DPP) officials have decided to delay the start of the party’s presidential primary from Friday to May 22, with the time frame for a public opinion poll to be worked out later, DPP Secretary-General Luo Wen-chia (羅文嘉) said yesterday after a meeting of the DPP Central Executive Committee. The panel and other key party officials have reportedly been negotiating a Tsai-Lai ticket, in which the former premier would be the vice presidential candidate. Whether these come from within the party or from outside, I will face them with all my courage,” Lai added. Primaries had been a mechanism that the DPP could be proud of, Lai said. “It is the biggest difference between us and other political parties, which only have one voice and no dissent,” he said. BloombergChina has signaled its intent to ban cryptocurrency mining, dealing a fresh blow to an industry buffeted by tumbling virtual currency prices, stiff competition and waning investor interest. The industry, which was initially drawn to China’s inexpensive electricity, local chipmaking factories and cheap labor, has begun shifting overseas. Market leader Bitmain Technologies Ltd (比特大陸) — which last month allowed its application for a Hong Kong initial public offering to lapse — has established mining operations in the US and Canada. BTC.Top, the third-biggest mining pool, last year said that it was opening a facility in Canada. Taiwan Semiconductor Manufacturing Co (台積電) and Nvidia Corp are among listed chipmakers that supply cryptominers in China and around the world. During the year in which the attraction was housed at the Isle of Wight Zoo, the zoo reported its busiest-ever summer. The “pile of poop” emoji may have peaked in cultural terms when Patrick Stewart voiced the cheery plop in 2017’s The Emoji Movie, but nothing could stop this movement. There’s fun for all the family with board games like Hook-A-Poop, Doggie Poo and Don’t Step In It. 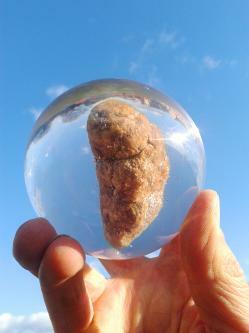 KIDS LOVE THEIR POOLast year H Grossman, Scotland’s biggest toy manufacturer, sold half a million pots of unicorn poo. Spokesperson Julie Pittilla says Grossman also offers dog poo (“That one comes with two flies — a classy touch”), unicorn poo, llama poo, mermaid poo (“It brings up all sorts of images, doesn’t it?”), dinosaur poo, flamingo poo and sloth poo. 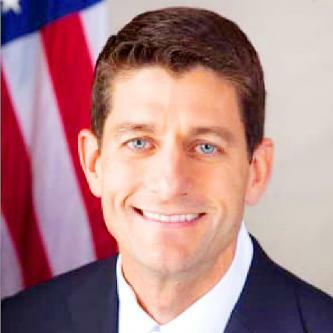 By Lu Yi-hsuan and Sherry Hsiao / Staff reporter, with staff writerFormer US House of Representatives speaker Paul Ryan is to head a delegation to Taiwan in celebration of the 40th anniversary of the signing of the Taiwan Relations Act (TRA), the American Institute in Taiwan (AIT) announced yesterday. The TRA was signed into law by then-US president Jimmy Carter on April 10, 1979, the same year that the AIT was established. “Taiwan is strong democratically and is increasingly under threat from communist China,” US Representative and committee leader Michael McCaul said. HR 2002 “reaffirms our support for Taiwan’s defense capabilities and advocates for their participation in international organizations,” said McCaul, who introduced the bill. “As we celebrate the 40th anniversary of the Taiwan Relations Act, it is important for our friend Taiwan to know that our alliance will only grow stronger,” he added. By Lin Chia-nan / Staff reporterAcademia Sinica researchers participating in the Event Horizon Telescope (EHT) project yesterday evening shared the first image of a black hole, along with scientists in five other countries. Local researchers were simultaneously sharing the discovery with researchers in Washington, Santiago, Brussels, Shanghai and Tokyo. The image — unveiled at 9:07pm — showed a black center surrounded by a crescent of light, and the audience in Taipei expressed their amazement with a big round of applause. 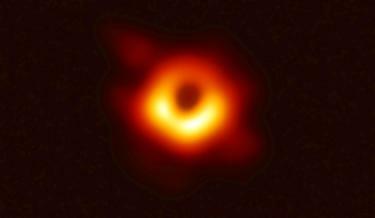 “Past observation has shown that there is a supermassive black hole at the center of M87, but previous technology could not create a clear image of it until today [Wednesday],” he said. The EHT is an international project working together to capture the image of a black hole by linking eight radio telescopes around the globe, creating a virtual Earth-sized telescope. The Information Web site earlier reported that JD could be slashing its workforce by as much as 8 percent. 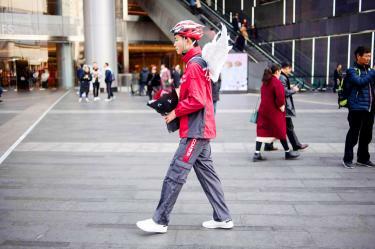 JD has come under increasing pressure from a more-diversified Alibaba, as Chinese consumption succumbs to a decelerating economy, while upstart rivals such as Pinduoduo Inc are drawing customers away. JD spokesman Brad Burgess declined to comment on the job cuts, saying only that the company was getting back to its entrepreneurial roots. Earlier this year, JD said that it intended to let go of 10 percent of executives ranked vice president or above. The departures and fears of job cuts have sapped morale among staff. Biologist Tzeng Chyng-shyang (曾晴賢) discovered that Taiwan shovel-jaw carp in the river have been unable to swim toward cooler water after a weir built for the Second Baoshan Reservoir (寶二水庫) was built too high at 7.74m. 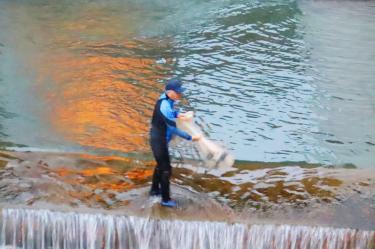 During nighttime trips, Tzeng and his students have netted about 200 fish and carried them over the two-story-high weir. Shovel-jaw carps like cold water and they breed once a year, with female fish carrying about 1,200 eggs at a time, Tzeng said on Friday last week. The fish can survive in fresh water up to 25?C when they are mature, but for breeding they require water of 15?C or colder, he said. The Water Resources Agency built a channel to allow fish to get around the weir, but it is some distance from the main river bed and fish near the bottom of the wier are unable to locate it, he said. BloombergBragging rights go to Hong Kong, for now. 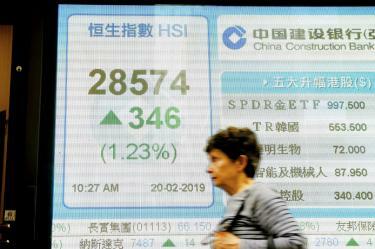 The territory’s equity market has overtaken Japan to be the world’s third-largest in value, behind only the US and mainland China, courtesy of a rebound in Hong Kong stocks after their worst year since 2011. The territory’s Hang Seng Index climbed 17 percent this year through Tuesday, when it closed at its highest since June 15 last year. Japan’s TOPIX index advanced 8.3 percent in that period. The Hang Seng Index slipped 0.1 percent, still closing above the 30,000-point level that it broke through earlier this month. Staff writer, with CNATaiwan is ready to defend its democratic way of life amid “unprecedented challenges” from China, President Tsai Ing-wen (蔡英文) said on Tuesday. 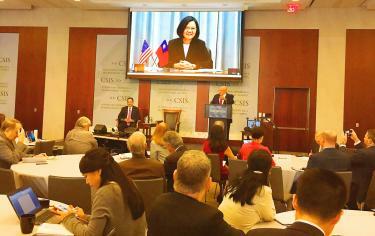 Speaking to US think tanks in Washington during a video conference, Tsai said that the nation’s “democratic way of life faces unprecedented challenges” from Beijing, which has used multiple approaches to influence public opinion in Taiwan over the years. “The people of Taiwan are deeply committed to protect this system against all threats, particularly from across the Strait,” Tsai said. 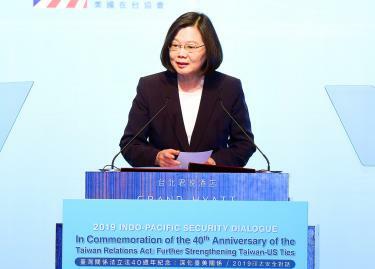 The transgression was not only a challenge to the Democratic Progressive Party administration she leads, but also to the nation’s democratic system, Tsai said. 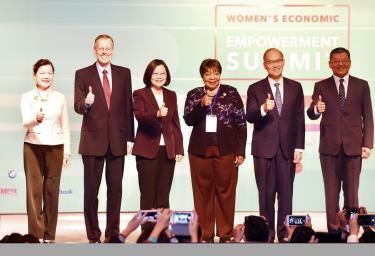 The president said that she sees great potential for bilateral economic and trade relations between Taiwan and the US, as the two have a complementary relationship, not a competitive one.